“Sometimes when we’re sick, we think that it’s a catastrophe. It’s something that is so bad that we’ll be ruined or that our life will go down the drain. That’s not true,” shares Kim Atienza. Atienza, fondly called Kuya Kim, never anticipated to be paralyzed just as he was in his most physically active state. 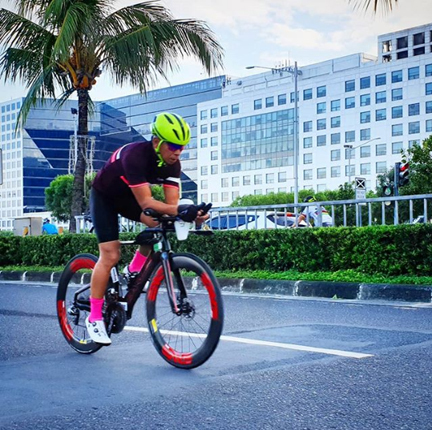 Kuya Kim in 2013 was diagnosed with Guillain-Barré Syndrome, an autoimmune disorder that causes paralysis and loss of reflexes, during his training for his supposedly first full Ironman in Australia. “In the middle of training, I realized that I could not move my hands. They were paralyzed. The next day, after my run program, I could not wiggle my toes. I went to my doctor, and I was told that I have Guillain-Barré Syndrome,” he relates. When Atienza was younger, he admitted to being haughty, thinking that he’s a great guy and that everything is within his power. But this perspective changed when he got sick. He says there were two turning points in his life. The first was in 2010 when he suffered from a stroke and then, in 2013 when he was diagnosed with Guillain-Barré Syndrome. 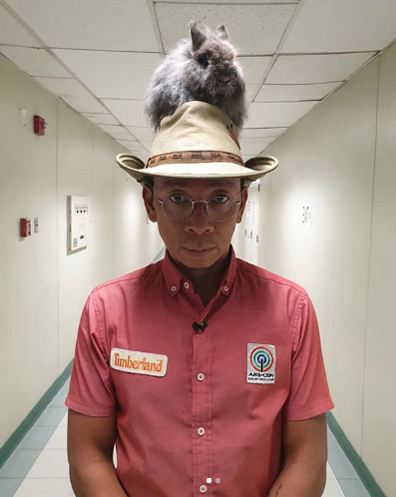 Kim Atienza continues to be physically active after suffering from stroke in 2010 and being diagnosed with Guillain-Barré Syndrome in 2013. “Suffering from a stroke made me physically born again. It made me decide to become an athlete, a marathoner, a triathlete, and an Ironman because I was so afraid that it will happen to me again. I became so healthy,” he shares. “I saw something positive in it because it changed me. I realized that the motto of Ironman is I can. While training for my first full Ironman, I kept on telling myself that I can do it. But that afternoon, in the ICU, when I could not even move my hands and feet, I realized that I can’t. I knew, right there and then, that there’s nothing I can do; it’s only God—God can. So, I changed my motto and, it became God can because of that experience,” he shares. More than healing the autoimmune disorder, Atienza explains that it is very important to avoid it by strengthening the immune system. “Santé Barley is the perfect supplement to strengthen your immune system, especially for athletes like me. Our immune system can get very low, especially if the training is strenuous. So, to supplement it with barley products from Santé is great,” he adds. More than being active he says his experiences have led him to know his purpose in life now.